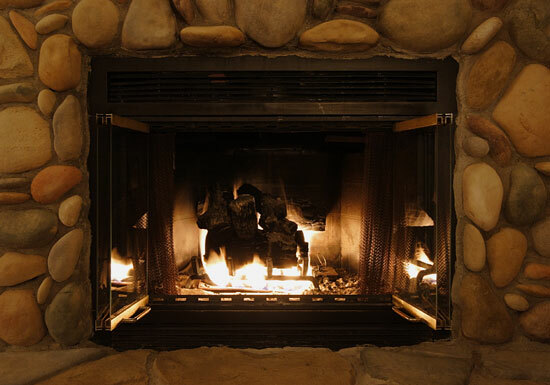 A close-up photograph depicts a warm, golden fire in a rustic stone fireplace. Screen doors, which are now open, can be closed to contain sparks and embers. Whether fueled by natural gas or by logs, a fireplace makes a room cozy on a cold winter day.